Urban style bistro in Arkansas redesigns its restaurant layout with a set of wood restaurant chairs and butcher block table tops from Seating Masters. 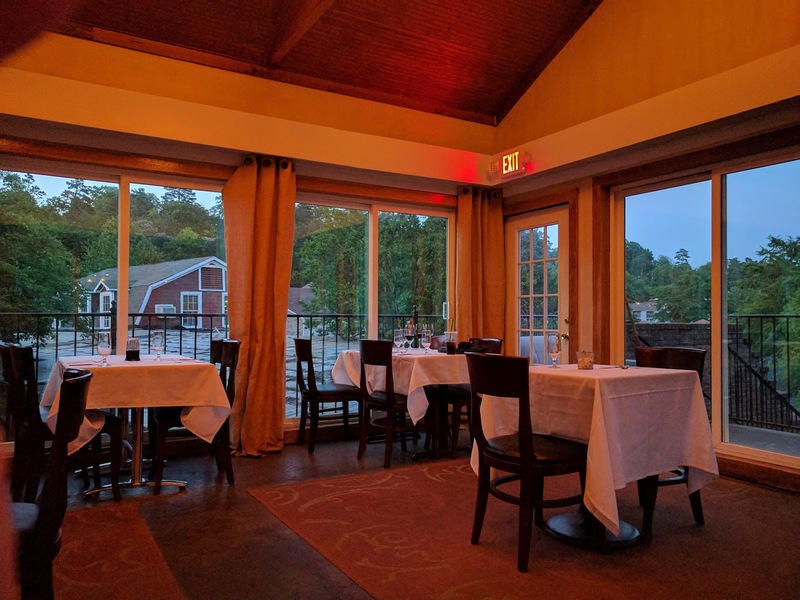 Arkansas seems remote to many people and the idea of an urban style bistro nested in the more quiet part of the US region seems novel, if not foreign to many but it exists. Starting a restaurant in the middle of Little Rock is a daring yet risky business venture. The nature of the restaurant business is competitive and not every establishment has the courage nor the luck to stay afloat but So-Restaurant Bar hit the jackpot with its Southern charm that lures visitors from the state. Offering the very best in fresh seafood and rustic meat dishes complimented by an extensive and diverse wines, SO gained prominence by Wine Spectator with their Award of Excellence. Whether you are looking to have a casual dinner on a date night, celebrating a special occasion, meeting with clients or hosting private parties, SO never ceases to impress with their impeccable services. SO is more than you would expect from an ordinary bistro. This restaurant offers a culinary experience managed and overseen by innovative kitchen and wait staff. Each item you order from their menu is a perfect accompaniment to the concerts, live musical performances and other events it hosts. With a modest, home-cooked yet elevated selection of dishes, SO retains a relaxing laid back personality while serving up high quality fantastic food with the Chef’s Special being the highlight of the menu. A combination of fresh ingredients, expert cooking and cultural content ensure a high class dining experience to remember at this Little Rock institution. 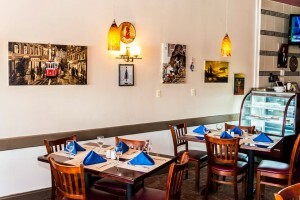 Aside for the location, the interior design and the restaurant layout has an impact on the reputation of the establishment from ambiance to service and even the quality of the food. Striving to be a go-to restaurant for a fine dining experience in the Little Rock Area, SO wanted to update its décor with the right set of wood restaurant chairs and butcher block table tops assembled with cast iron table bases. They contacted Seating Masters who with over a decade of experience and service in the food industry knew exactly what they needed. With a timeless look and elegant beauty, the Premium US Made Beidermeir Wood Chair that exhales grace to any room. Made to withstand the stress of use in a commercial environment, this wood chair is constructed of the finest US made materials and is sure to serve your establishment for years to come. In addition to its sophisticated design and durable built, this wood restaurant chair can be designed to best fit your venue by choosing from a number of different options. Additionally, it is available in an array of wood finishes and comes standard with a solid saddle seat and nylon glides. Butch block table tops are one of Seating Master’s sought after items and for a good reason. Made especially for commercial use, these wood table tops fit perfectly in any establishment – from upscale restaurants to small coffee shops. They flawlessly pair with any wood restaurant chair or bar stool Seating Masters’ sells. You can choose between an eased or bullnose edge. These solid wood table tops are available in 5 different finishes. You can also request for a custom stain from Seating Masters. Come by to So Restaurant Bar located at 3610 Kavanaugh Blvd, Little Rock, AR 72205, USA. They can be reached at (501)-663-1464. Pizzeria in Walden, NY updates its restaurant interior design with a set of metal chairs and matching metal bar stools along with tables provided by Affordable Seating. Pizza is a favorite among many people and Franco’s Pizzeria makes sure it stays that way. When you are expecting fresh, authentic Italian food, Franco’s is irrefutably the grand champion. Apart for its reputation for its excellent customer service among the residents of Walden, this pizzeria boasts of using fresh ingredients that visitors savor. Taking Italian dining to a whole new level, Franco’s offers an experience to remember and even perhaps to relive. Upon entry, you are greeted with an aroma of freshly baked pizza and a newly renovated restaurant interior design that translates into the warm and friendly ambiance it proudly displays. You are led by a pleasantly mannered waiter/waitress who seats you and presents you with a menu of Italian delicacies. This pizzeria also offers gluten-free options that are just as sublime. Since its establishment in 2008, Franco’s has been a home to the community of Walden where both the staff and customers alike are one big family. 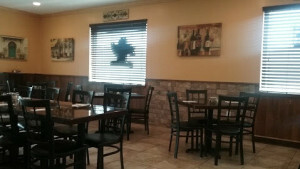 The owner wanted to update the pizzeria décor with a more elegant flair and turned to Affordable Seating for assistance. With over a decade of service in the food and hospitality industry, Affordable Seating knew which restaurant seating would best suit Franco’s for its business. 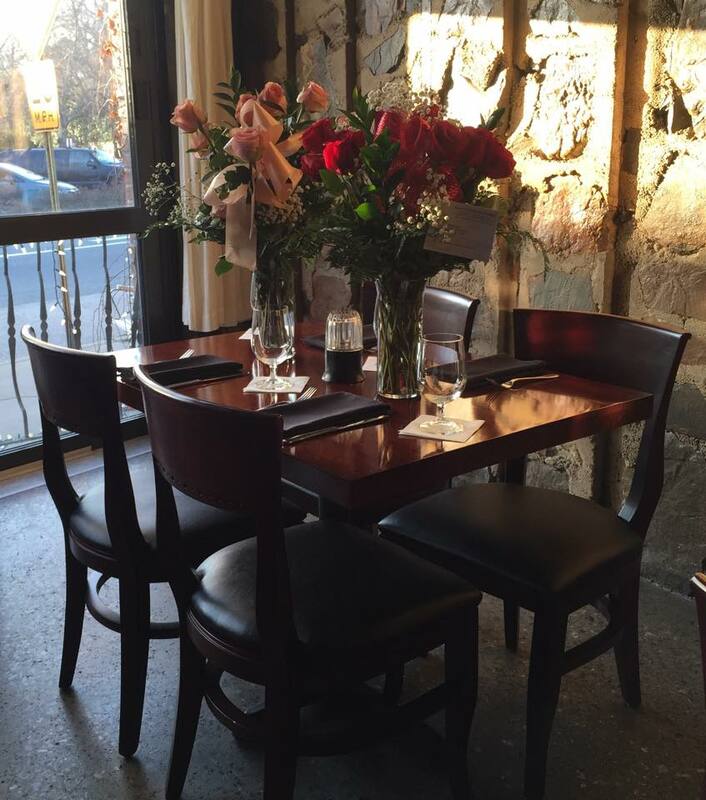 To start with the seating, the owner felt the Window Back Metal Chair would highly compliment Franco’s setting. The window back design adds to the beauty of this black metal chair, making it sought after by restaurateurs nationwide. It comes standard in a sandblasted black finish along with a choice of frame finishes. You can also choose from a wooden or an upholstered seat with vinyl or fabric in many different colors. The owner then decided to furnish his dining space with a set of Resin Table Tops due to their durability and scratch resistant surfaces. Because Franco’s is a high traffic venue, long lasting restaurant tables were crucial for the business. Affordable and attractive, these table tops feature a 2” drop edge and a glossy resin surface that protects the table from stain and water damages. This table top comes in a variety of sizes and is available in walnut, cherry, and dark mahogany. Assembled together with an X prong cast iron table base, Franco’s had a restaurant table that promises many years of services. If you are not just at Franco’s for the pizza and would also like some drinks, you can check out their remodeled bar section. The owner purchased a set of matching metal bar stools to complete the look of the pizzeria décor. Guests can now enjoy a shot of their favorite liquor whilst watching the latest sports events. Check out our selection of commercial grade furniture at http://www.affordableseating.net/ or contact a customer service representative at (888) 495-8884. Come join Franco’s for good food and service at 74 Oak Street, Walden NY 12586 or call them at 845-778-7574 for more information. 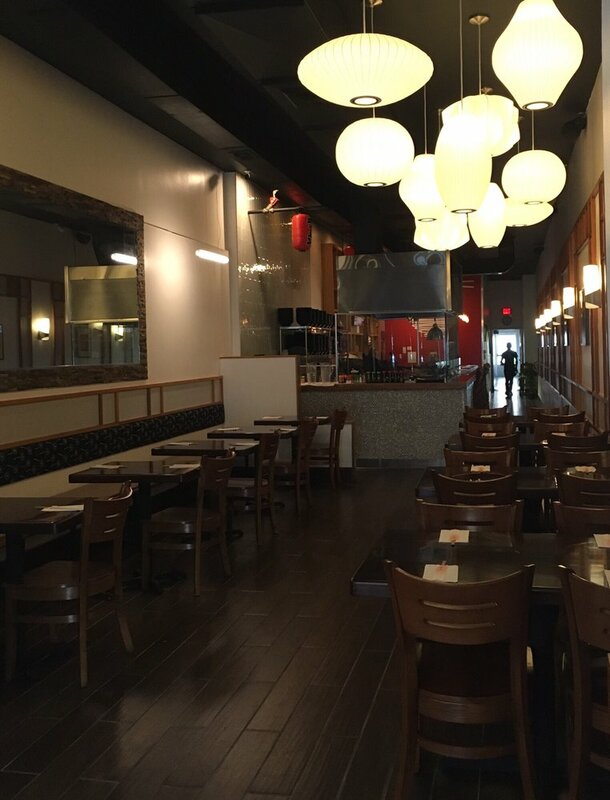 “Noodle bar” in Arlington VA updates its restaurant layout with new commercial seating from one of America’s leading furniture distributor. Affordable Seating assists Boru Ramen Noodles in renovating the restaurant interior with brand new commercial grade furniture. When we think of ramen noodles, an orange package of chicken flavored Maruchan ramen noodles almost immediately enters our minds. Among many of us, ramen noodles are essential for preparing a perfect meal in a matter of minutes. However, Boru Ramen has recently taken a dramatic twist on the ramen noodles. As a Japanese based restaurant, Buro includes all aspects of Asian flavors, especially Korean, in their salads, rice dishes, and ramen bowls. Shrimp tempura is one of the most popularly ordered appetizers in the menu followed by Gyoza; pan fried pork and vegetable dumplings. The menu features a variety of ramen noodle dishes, the Hakata Tonkotsu unanimously voted by most of the patrons as being a favorite. For only 12 dollars, the dish presents a silky pork bone broth served with ramen noodles pork chashu, seaweed, egg, bamboo shoot topped with scallions and roasted sesame seeds. 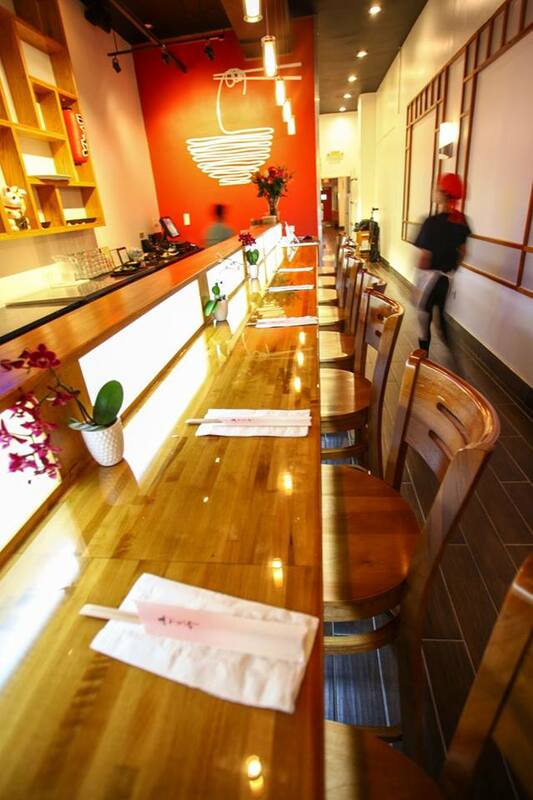 The restaurant interior is described as being aesthetically pleasing, clean, and color coded. In addition to the red, black, and white color scheme, there are eight television sets playing music from the 80’s. But the venue is frequented by large crowds of patrons with insatiable cravings for ramen noodles; there was a high demand among the owner for high quality commercial seating. He saw Affordable Seating as a solution to his restaurant seating needs. Reputable for crafting high quality commercial grade furniture complimented by its outstanding customer service, Affordable Seating has served the food and hospitality industry nationwide for over a decade and still continues to do so. For the seating itself, the owner was attracted to the Italian design on the Premium US made Henry wood chair. This chair is made of superior construction and meets BIFMA standards. Starting at $78.00, this top quality chair is made to last a lifetime and includes a choice of wood finishes, and an option for a wood or upholstered seat. He ordered them in a set of 32 and decided on a matching bar stool to complete the look of his décor. Resin table tops are popular among high traffic dining establishments for their glossy yet scratch and water resistant surfaces. Both affordable and attractive, these wood table tops include a 2” drop edge. Available in a variety of sizes and colors, these table tops can be customized to meet the customer’s needs. But to create a durable restaurant table, X prong table bases were crucial as they provide the support table tops need. Keep yourselves updated with our furniture, dinnerware, sets, cabinetry, and sales here at http://www.affordableseating.net/ or speak to a customer service representative at (888) 495-8884. Boru Ramen is located at 2915 Columbia Pike, Arlington VA 22204. They can be reached at (703) 929-1973. 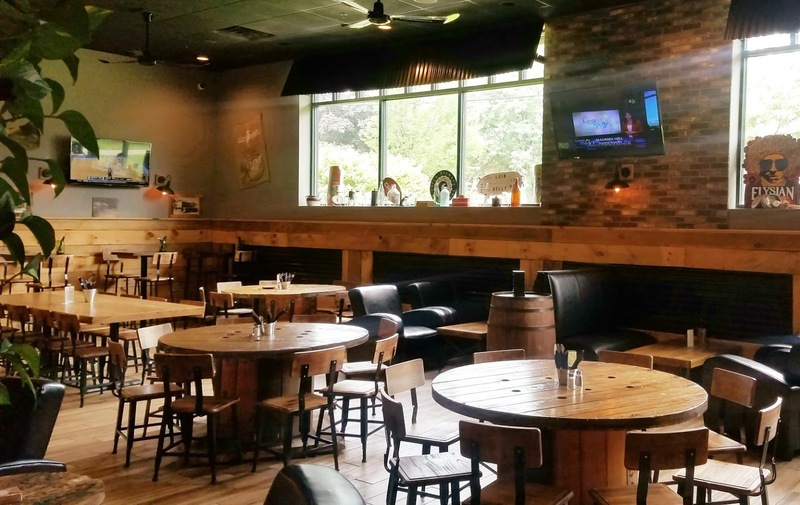 Brewpub in East Petersburg redesigns its restaurant layout with commercial grade furniture supplied by Affordable Seating. Leading restaurant furniture distributor teams up with Mad Chef Brewing to renovate their restaurant design with new tables and commercial bar stools. Mad Chef Craft Brewing Company, a brewpub located on East Petersburg that has been in operation since June 2015. 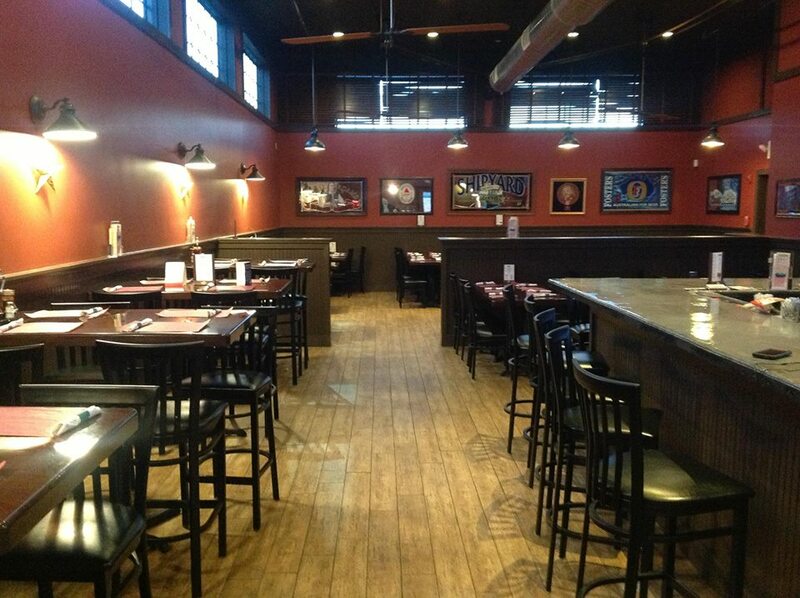 Measuring 3,000 square feet, this brewpub is as large as the Village Commons shopping center. Owners Francisco Ramirez and Greg Kendig marked Memorial Day to announce the grand opening of their pub with 5 to 6 beers on tap to start with eventually having 10 beers on draft. In addition to the drinks they serve, they serve dishes infused with the beers at their pub. Mad Chef recently installed a seven barrel brew system that approximately makes 224 gallons of beer at a time! The food menu features a selection of gourmet grilled Panini, hummus, quesadillas, pretzels and cheese. Mad Chef also presents charcuterie boards of various meats and cheeses. They also have seating for 70 with space for 20 at their bar area. Since there is no table service, customers place their orders at the bar. The décor is described to be industrial by Kendig with an open seating layout. As such, he was looking for commercial grade furniture that would synch with Mad Chef’s interior design and Affordable Seating had everything needed. With expertise acquired from 10 years of experience working in the food industry, Affordable Seating was able to help Kendig and Ramirez determine which furniture and seating layout would best serve their business. Starting with seating, they felt the design on the metal back bar stools with a clear finish would complement their industrial décor. With comfortable seating and premium construction, these commercial bar stools guarantee long lasting durability. The horizontal slats on the back add inherit beauty to these bar stools. A choice for a wood or an upholstered seat is available. 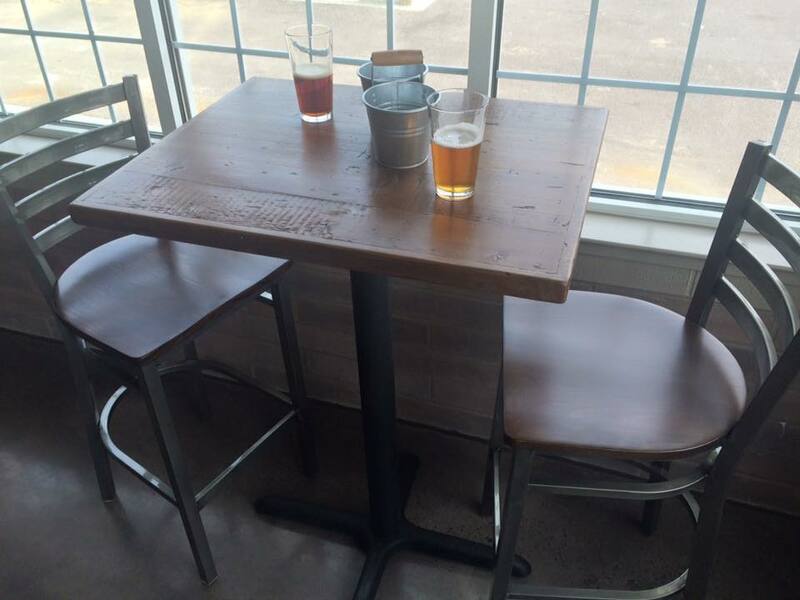 The plastic glides not only protect the bar stool but prevent marring on the floors. 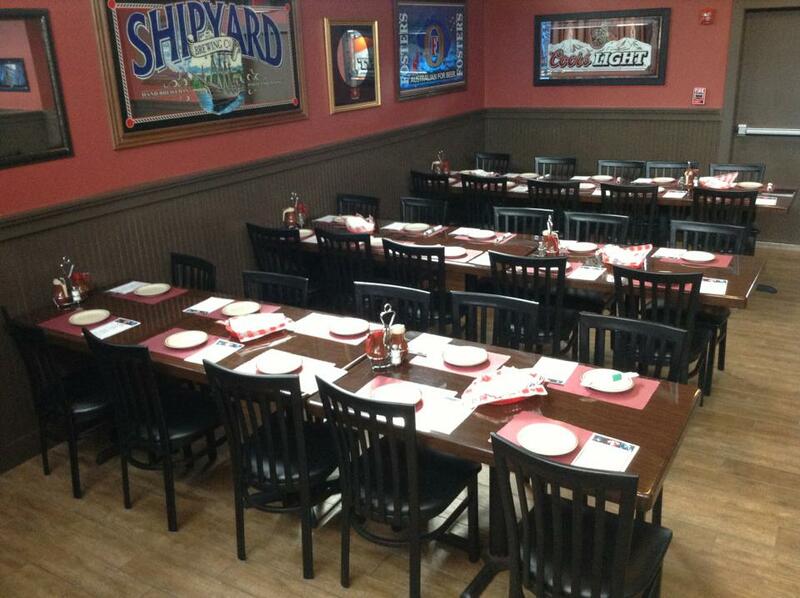 Pairing them with matching chairs is recommended for giving a cohesive look to any restaurant design. For the tables, they ordered several X prong table bases in different sizes for standard table and bar height tables. Designed to fit any table top, the quality of these table bases are unsurpassed. 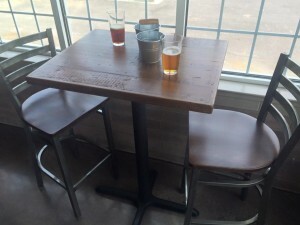 An option for a footrest can be requested for bar height table bases. They are exclusively built for commercial use and priced to fit within your budget. When assembled together with Affordable Seating’s table tops, you can expect a sturdy table that is resistant to heavy usage in high traffic commercial environments. Learn more about Affordable Seating’s full selection of commercial grade furniture including sets, cabinetry, dinnerware, and sales here: http://www.affordableseating.net/ or contact a sales professional at (888) 495-8884. Mad Chef Craft Brewing is located at 2023 Miller road East Petersburg, PA 17520. They can be reached at (717) 283-6469. Bistro in Topanga updates its restaurant design for its 10th anniversary with new seating from Affordable Seating. 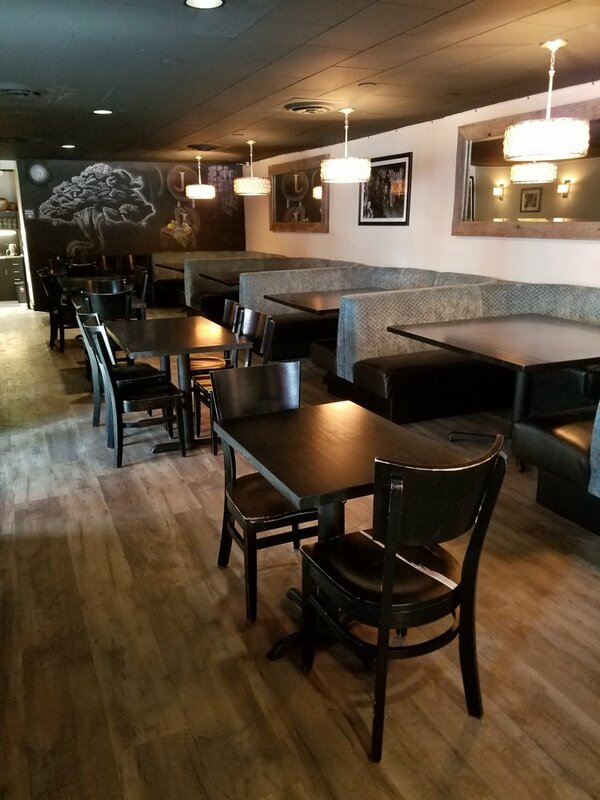 Leading commercial grade furniture distributor assists Canyon Bistro in reorganizing their seating layout with a new set of wood chairs and bar stools. The best of America and France are fused together at Canyon Bistro. All the produce and meats used in the meals they prepare are organic. 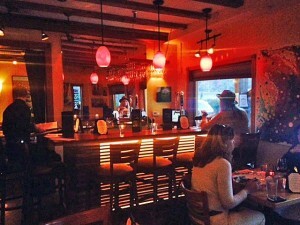 The bistro offers a relaxed and hip atmosphere to patrons with food and entertainment. Their regular fries, truffle fries and sweet potato firs served along with their 8 oz burger are the biggest rave among guests. However, the highlight of the menu is fresh fish that is delivered whole and filleted. The organic Scottish salmon served with Forbidden black rice and mussels in a saffron-dijon broth is a specialty. Kobe style beef is also another favorite as well. Vegetarian options and kid-friendly dishes are also featured in the menu as well. 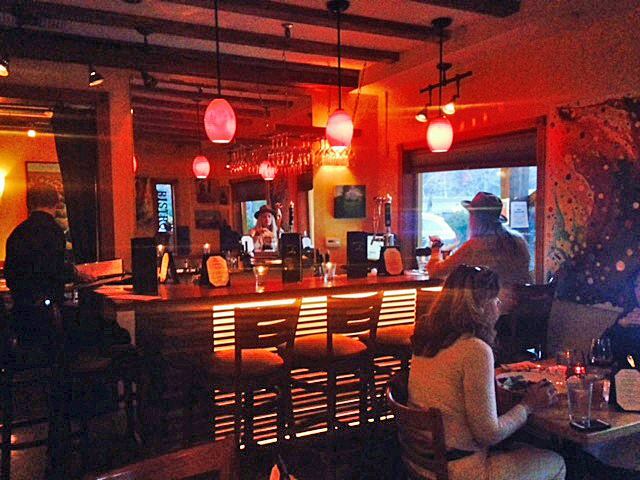 The bistro hosts lives music performances and other special events on the weekends which everyone enjoys. The dream of opening this bistro started 14 years ago but came to life in Topanga 4 years later. The goal was to serve gourmet food at reasonable prices with a need for more dinning choices in the canyon. 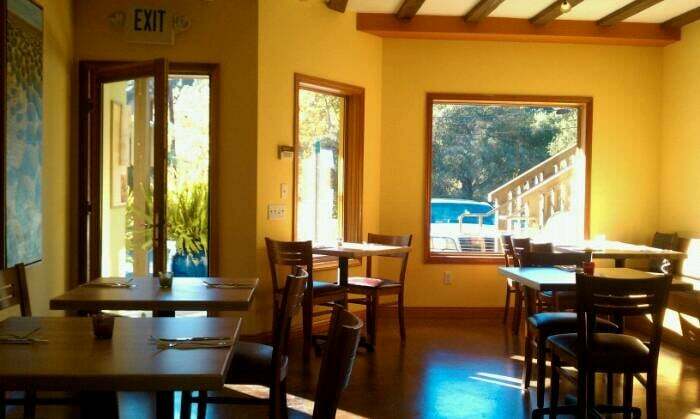 The Canyon Bistro fulfills that need to its best ability, becoming a place where the community of Topanga calls home. Months leading up to its 10th anniversary, the owner along with his team wanted to celebrate the success of his business by redecorating the restaurant’s interior design. He contacted Affordable Seating, reputable for its quality commercial grade furniture and customer service nationwide, and sought out the expertise and assistance from sales professionals. Seating is an integral part of the restaurant’s anatomy and business. Affordable Seating takes this to heart with excellent customer service as their mission. Drawn to its superior construction and durability, the owner purchased several sets of the Wood Ladder Back Chairs. Made especially for commercial use, this chair is made to serve a life-time in any busy commercial environment. BIFMA tested and approved, this chair is built of solid maple wood. Customization options are available as well which allows customers to design this chair to their specifications. Just as having sturdy chairs for you dinning space is important, so is having heavy-duty bar stools for your bar section. The furniture you use can be impressionable among patrons. The owner agreed upon the Premium US Made Henry Wood Bar Stool. With elegant simplicity, this wood stool will enhance any venue. The slits in the back pronounce the charm of this bar stool. Choices of seating and wood finishes are available to customize these bar stools to coordinate with the motif of any dining establishment. Affordable Seating invites you to surf through their selection of chairs, bar stools, booths, table tops, table bases, and patio furniture on their site: http://www.affordableseating.net/ or you may contact a sales representative at (888) 495-8884. 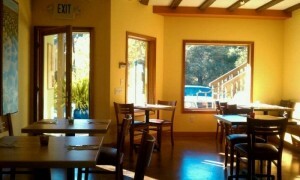 Canyon Bistro is located at 120 N. Topanga Canyon Blvd Ste 199 Topanga, CA 90290. They can be reached at (310) 455-7800. Affordable Seating upgrades the interior design of Juniper Restaurant with new restaurant seating for its grand opening. 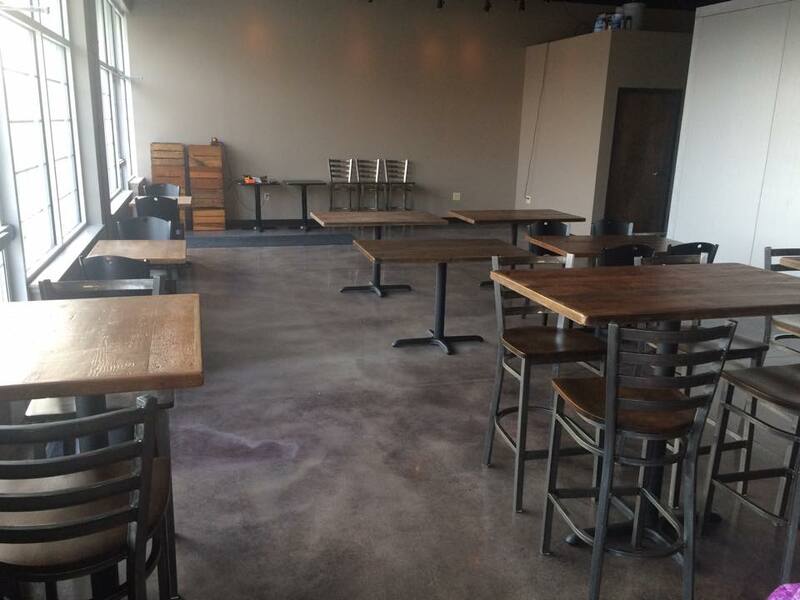 Leading commercial grade manufacturer works together with restaurant in Boise in preparations for its grand opening with a set of new curved back wood chairs and matching bar stools. Juniper puts a lot of heart and soul into the ingredients they use in their dishes. The menu is comprised of food that is non-MSG, organic, local eggs, cage free chicken and grass-fed beef. The management staff work closely with local farmers and purveyors to incorporate flavor and integrity in these products. Juniper’s wine and beer section put a lot of focus on winemakers and local brewers who strive to ensure that guests enjoy their drinks. Ultimately, the goal of Juniper is to provide food and drink that is comforting and straightforward and well as an environment where long-time customers and bypassing visitors can feel right at home. Chefs tend to concentrate on the high popularity of comfort food trends while creating American classics of old-time recipes with a contemporary twist. 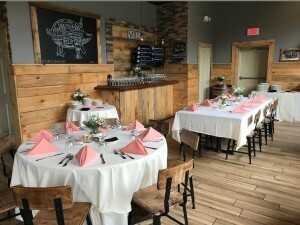 The restaurant also includes chefs tables where guests can watch their meals being prepared served with a pairing wine exclusively selected by Chef Aaron. Shortly after the establishment of Juniper, the operational staff made several renovations with the interior design and seating layout. They sought the expertise of Affordable Seating, a reputable distributor for craft making and manufacturing high quality commercial grade furniture. For the restaurant’s dining room, the owner decided on the Curved Back Wood Chairs. Constructed to withstand the rigorous conditions in the food industry, these restaurant wood chairs were ideal for the owner’s high traffic business. The L brackets are strategically placed to maintain the chair’s structural stability thus preventing wobbling. Each of these chairs feature a black wood finish with a choice of a wood or an upholstered seat. Standard vinyls are available in black, green, and burgundy. To give his décor a cohesive look, he ordered matching Curved Back Wood Bar Stools for his bar section. These stylish designer wood bar stools add class and sophistication to lounges, taverns, cafes, bistros, and any dining establishment. These elegantly designed bar stools fit perfectly in at an upscale venue which are sure to impress. Much like the curved back wood chairs, these bar stools include customization options and choices for a wood or an upholstered seat. To be informed about Affordable Seating’s restaurant furniture including sets, cabinetry, dinnerware and sales, visit: http://www.affordableseating.net/ or contact a sales representative at (888) 495-8884. Juniper Restaurant is located at 221 N 8th St Boise, ID 83702. They can be reached at (208) 342-1142. 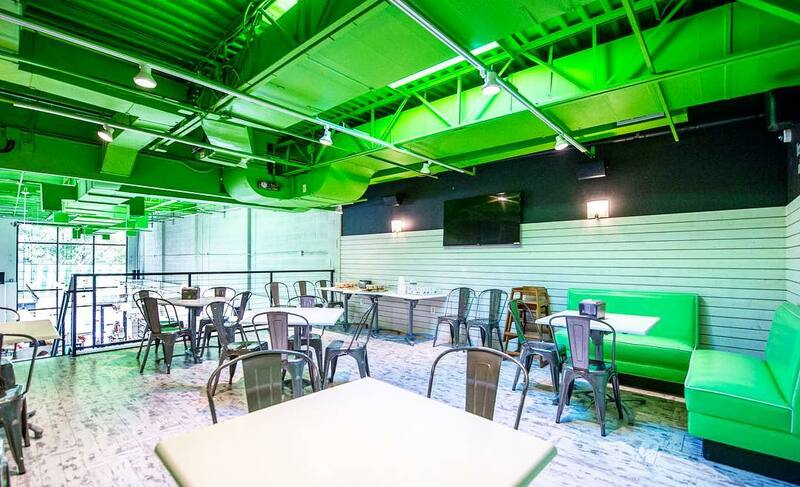 Leading commercial grade furniture distributor helps candy shop in Bethesda upgrade its décor with new restaurant booths and outdoor chairs. Affordable Seating lends its expertise and services to Henry’s Sweet Retreat in updating its interior design with new restaurant seating. Tucked away in the quiet town of Bethesda, Tom and Patty Craver envisioned opening up a candy shop one day in memory of Tom’s grandfather. Their vision was inspired by Henry and Martha, Tom’s grandparents who raised him on homemade cherry pies. Tom and Patty realized the lack of candy stores in the area. They hoped to add a modern twist to traditional candy making. After seeing a market opportunity, they took the liberty to undertake a business venture. In light of the grand opening in Surgarfina – an LA based candy store for adults in Betheseda Row. Living in the Edgemore neighborhood with high school aged children, the Cravers strived for something more family oriented when they decided to establish their business. The space measures about 1,000 square feet with a 500 square foot mezzanine level which is reserved for kids’ birthday parties and other social events. The shop also features a bakery section which serves scones, cinnamon buns, cupcakes, shortcakes, and other desserts. With the support from the community, the Craver’s venue continues to grow in popularity. While configuring an interior design for their candy shop, the Cravers felt it was important to have furniture that would put much emphasis on the bright yet warm décor they wanted. They sought the expertise of Affordable Seating, a reputable restaurant furniture manufacturer who was able to help them with their seating layout. 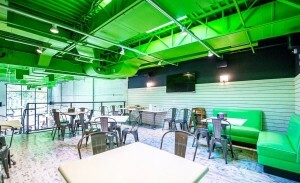 They started with Affordable Seating’s Plain Back Custom Booths which they ordered in lime green vinyl. 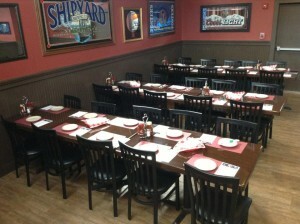 Made in the USA, these restaurant booths can be customized according to the customer’s specifications. The height, length, and shape can be adjusted. There is also a wide choice of vinyls and fabrics to design these booths with as the customer sees fit. To create a child-friendly décor for their store, the Cravers decided on the Bistro Style Metal Chairs in a clear finish. These outdoor chairs make an economical and convenient choice for restaurant seating due to being lightweight and easy to stack. Ideal for both patio and indoor use, these chairs are designed to meet the rigorous demands of the food industry. They are also made to last many years of service which was important to the Cravers. 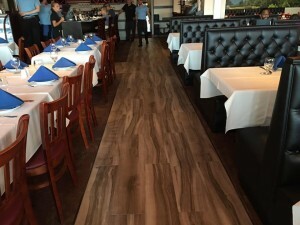 To cruise through Affordable Seating’s collection of restaurant furniture, visit: http://www.affordableseating.net/ or contact a customer service representative at (888) 495-8884. 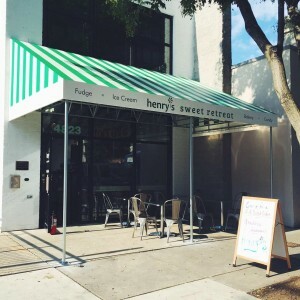 Henry’s Sweet Retreat is located at 4823 S Elmo Ave Bethesda, MD 20814. They can be reached at (240) 483-0485. 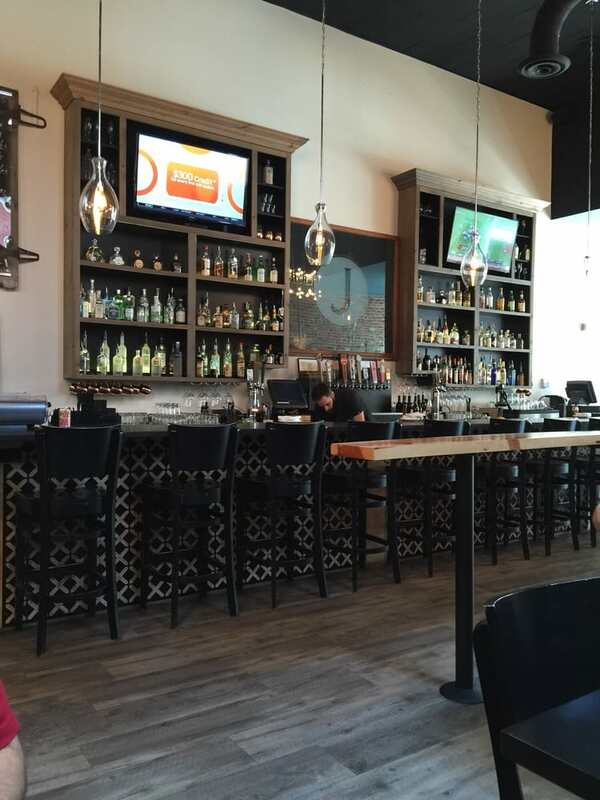 Leading restaurant furniture supplier and manufacture gives Rudy’s Mediterranean Grill a new look for their restaurant by furnishing it with their restaurant chairs, wood table tops, and bar stools. Affordable Seating, a leading restaurant manufacturer has recently collaborated with Rudy’s Mediterranean Grill on their successful grand opening by supplying them with brand new restaurant furniture. Known for its Turkish delights amid humdrum décor before contacting Affordable seating, Rudy’s Mediterranean Grill has a descriptive menu filled with an array of Mediterranean dishes. Located in Columbia, MD, this quaint restaurant has a descriptive name. The owner, Rudy Keskin, a Turkish native adds a new twist to a traditional fare. Sticking to his Turkish roots planted in the Mediterranean, Keskin shares his passion and love for food through traditional Turkish recipes with a few Greek specialties. 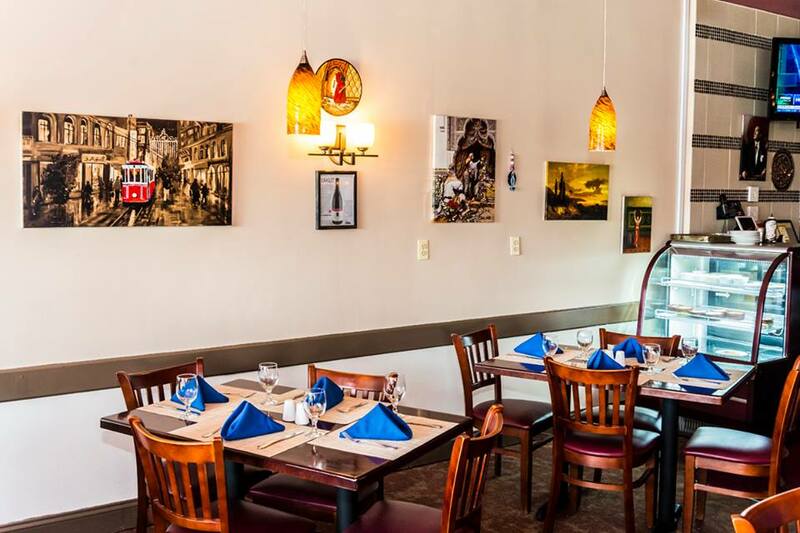 In hopes to create a warm atmosphere for the residents of Columbia and represent the Turkish community in that region, Keskin decided that he needed to upgrade the décor in his restaurant. 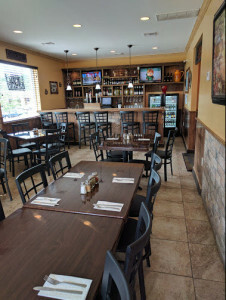 Established in 1998, Rudy’s Mediterranean Grill is reputable for its well-executed Mediterranean ethnic specialties – omelets, sandwiches, moussaka, lamb chops along with a gamut of appetizers and entrees that Keskin introduced to Columbia from his native hometown. Despite it all, Keskin felt the decor of his restaurant lacked character and decided that the humdrum restaurant furniture needed to be replaced. Keskin contacted Matt, a customer service representative from Affordable Seating, requesting assistance in giving his venue a new sophisticated look that translates into his services. “Mr. Keskin was looking for quality restaurant furniture that would enhance the interior design of his restaurant”, Matt explained. The owner relied on Affordable Seating for its services and commitment to improving the restaurant’s wood scheme. Rudy Keskin turned to Affordable seating due to their reputation and expertise in the restaurant furniture business. They stand behind their quality products and aim to ensure customer satisfaction with delivering durable yet elegant restaurant furniture. Keskin ordered Affordable Seating’s Button Tufted Back Double Booth along with a new set of Vertical Slat Wood Chairs, solid wood table tops, along with their beautifully designed yet very comfortable Metal Ladder Back Bar stools. “The Button Tufted Back Double Booth was most sought after by the restaurant owner”, remarked Matt. “They are very durable yet comfortable adding elegance to any venue making them versatile which is what Mr.Keskin wanted”. The Button Tufted Back Double Booth is exclusively made in the USA and can be customized according to the customer’s specifications. Additional options include head roll, wet cord, crumb strip, and wood/laminate caps. A large selection of vinyls and fabrics are provided to match any decor. Each piece sells for $522.00. To browse through Affordable Seating’s full selection of patio furniture, booths, bar stools, restaurant chairs, and tables, visit www.affordableseating.net or call a customer service representative at (888) 495-8884 for more information. Rudy’s Mediterranean Grill is located at 7185 Columbia Gateway Drive, Columbia, MD 21046. They can be reached at 410-290-2004.